Healthcare Connect supports numerous charities throughout the year. Local charities are chosen to be featured on our multi faceted community platform. The goal is to bring additional exposure through our website, social media, print media and events. Healthcare Connect assists these organizations in leveraging that exposure into raising awareness and money. Healthcare Connect is constantly searching for new organizations to work with. If you or your organization is interested in becoming a Featured Charity please contact us. Ronald McDonald House Charities of Central Florida, creates and supports programs that directly improve the health and well-being of children and families. The corner stone program, the Ronald McDonald House, provides a “home-away-from-home” that offers comfort and care to families with children receiving treatment at local hospitals and medical facilities in Orlando. Our Ronald McDonald House program is now two Houses strong with 59 bedrooms to serve families in medical crisis with an ill child. We are open 24 hours a day, 7 days a week, 365 days a year to provide families with a safe haven close by the hospital, so that they can focus on the wellness of their child. 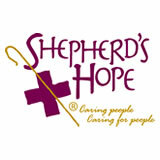 Shepherd's Hope is the response of a caring community to the increasing number of men, women and children living in Central Florida without access to basic medical care. Founded in 1997, Shepherd's Hope has provided over 125,000 patient visits, forming creative partnerships with faith groups, hospitals, schools and community partners. Through the dedication of more than 2,500 volunteers, thousands have found hope and healing. Cystic fibrosis is a deadly genetic disease for which there is currently no cure. A decade ago, its victims seldom survived into adulthood. Through the years, advances in research, treatments, therapies, and medications have pushed the average life expectancy well into the 30's and even 40's. While this is an incredible milestone, and a tribute to the hard work and dedication of those searching for a cure, it also brings to light another unfortunate burden for the CF patient. As CF patients live longer and longer, the costs of keeping them alive continues to escalate. Increased insurance costs, hospital expenses, medications and therapies, not to mention basic living expenses, leave the CF patient and their families struggling to make ends meet. Many CF patients are forced out of work due to chronic infections, making it even more difficult to cover the costs associated with this disease. 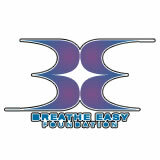 With government budget cuts and the lack of any other assistance programs available, in 2010 it became necessary to form the Kevin A Przybyl Breathe Easy Foundation, Inc. in order to help bridge the gap between what these patients CAN afford and what they MUST afford in order to survive. Our goal is to help these patients not only survive, but thrive with an improved quality of life, one they may not have been able to afford without our help. 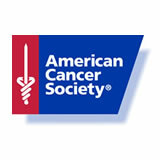 The American Cancer Society (ACS) is a nationwide, community-based voluntary health organization. Headquartered in Atlanta, Georgia, the ACS has state divisions and more than 3,400 local offices. Learn more about ACS, what we do, and our plans for the future by exploring our website. 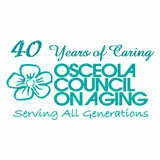 Osceola Council on Aging, Inc. Created in 1971, the Osceola Council on Aging, Inc. is the largest social services organization in Osceola County, providing a wide array of services and programs to meet the needs of our community. Though the name implies services for just the elderly, our scope of services extend to families as well, helping during crisis to enable generations of residents to overcome challenges. The Osceola Council on Aging, Inc. is a 501 (c) 3, non-profit, private charitable organization dedicated to providing services to enable independence and self-sufficiency for seniors, disabled adults and disadvantaged families. We are currently celebrating our 40th anniversary of making a difference in the lives of the residents of our community. 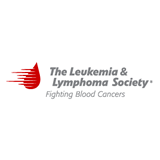 The Leukemia & Lymphoma Society (LLS) is the world's largest voluntary health organization dedicated to funding blood cancer research, education and patient services. LLS's mission: Cure leukemia, lymphoma, Hodgkin's disease and myeloma, and improve the quality of life of patients and their families. Since the first funding in 1954, LLS has awarded more than $680 million in research funding. 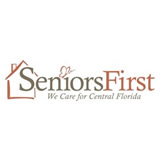 Our Mission - Seniors First enhances the quality of life for Central Florida senior citizens by maintaining their independence and dignity through nutrition, home improvement and support services, which assist seniors in need. Who is eligible for services? Any Orange or Seminole County resident, 60 or older, may be eligible for our services. Eligibility requirements vary by program, and some programs require a professional in-home assessment. 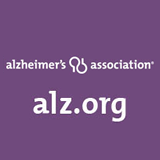 Our Mission To eliminate Alzheimer's disease through the advancement of research; to provide and enhance care and support for all affected; and to reduce the risk of dementia through the promotion of brain health. 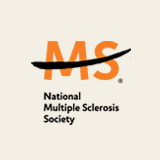 The National MS Society is a collective of passionate individuals who want to do something about MS now-to move together toward a world free of multiple sclerosis. MS stops people from moving. We exist to make sure it doesn't. 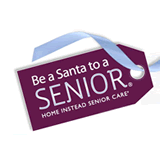 Since introducing this program, the Home Instead Senior Care® network has helped provide 1.2 million gifts to more than 700,000 seniors throughout North America. The program provides presents and companionship to seniors who otherwise might not receive a gift this holiday season.